Kosovo PM to Turkey's Erdogan: 'We Mind Our Own Affairs' - Integration Through Media ....! 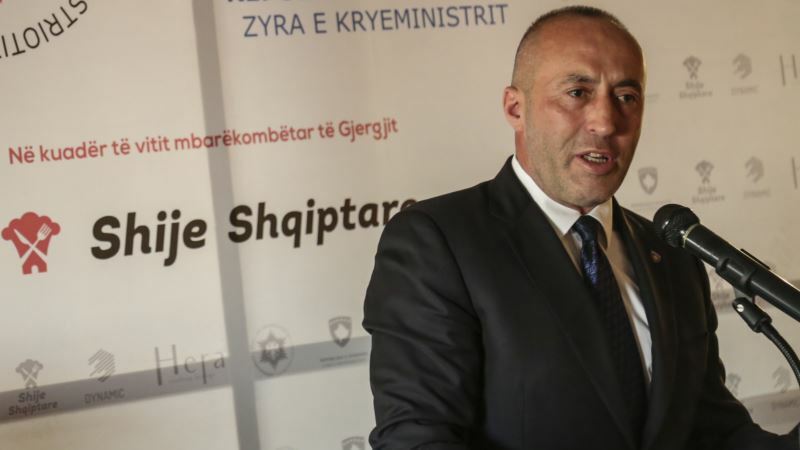 (VOA): Kosovo's prime minister on Monday pushed back against threats made by Turkey's president over a probe into the arrest and deportation of six Turkish citizens with ties to schools linked to the Fethullah Gulen movement, which Ankara blames for a failed 2016 coup. It was on Saturday when Turkish President Recep Tayyip Erdogan said Kosovo Prime Minister Ramush Haradinaj would “pay” for dismissing his interior minister and intelligence chief for deporting the six from Kosovo without his permission. On Monday, while addressing an event marking the 550th anniversary of the death of the Albanian national hero, George Kastrioti — who for 25 years fought against the Ottoman invasion — Haradinaj rejected Erdogan's demands. Kosovo President Hashim Thaci last week said he was “disillusioned how [Kosovo's] relevant institutions” had failed to protect foreign citizens working in Kosovo, adding that he, too, had learned about it only after the arrest. Turkey has been a principal backer of Kosovo, which declared independence in 2008. Turkish firms run the tiny Balkan country's sole airport and electricity network and are building two highways worth around $2 billion. Ankara accuses Gulen, a Muslim cleric based in the United States, of masterminding a July 15, 2016, coup attempt and has declared his movement a terrorist operation. Gulen denies any link to the attempted coup.